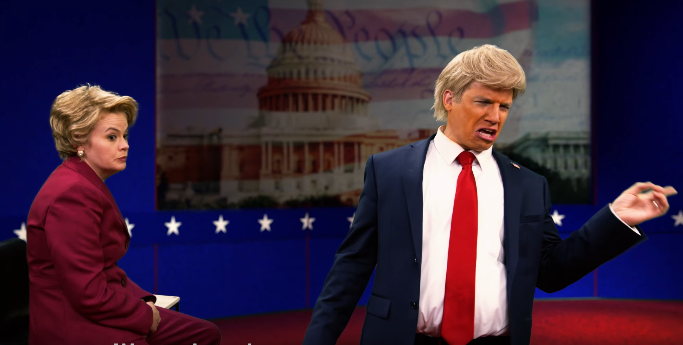 ERB takes on the 2016 US presidential election in their midseason premiere featuring Kimmy Gatewood as Hillary Clinton and EpicLLOYD as Donald Trump. It is not surprising that ERB has opted to do this rap battle, considering their last election battle in 2012 (Barack Obama vs. Mitt Romney) was their most successful video of all time. ERB attempted to do King Henry VIII vs. Hillary Clinton back in season one, and have used Donald Trump before in a Christmas special battle against Ebenezer Scrooge.